whats the difference between silver and aluminum strings? (other then the most obvious, that they are made/wound with a different material.) Is it a huge difference? The silver give a brighter sound than the aluminium. A lot depends on your instrument and your likes. If you feel that when you play your D string it is overpowering try the aluminium and if you feel you want more from your D string then go with the silver. Is there any difference in how long the strings last? I agree that silver has a slightly brighter sound and the silver wound lasts a lot longer for me. Silver is a bit sweeter on mine. I have Obligatos, with a silver-wound D and gold E.
Evah Pirazzis are good too, but expensive, and a bit on the bright side for my liking. The wrap or plating definitely makes some difference. The metals used all have different density and properties. Silver for example, is kind of heavy and doesn't have much springiness to it. Jewelers consider it a fairly dead metal. Gold on the other hand, is even heavier, but quite springy. The difference that the metal of the wrap makes can be very noticeable. Unfortunately, I don't think there is a clear "this one is always better". Like many things, which one will be best for you is going to depend on what sound you like, your individual instrument, how you play, etc. But if you are asking if it makes enough of a difference to notice and if you try some different wraps or brands of string are you likely to find you like one better than another? Very likely. I feel it is a thing worth experimenting with, since it can make quite a difference. Moral of the story: Don't assume anything is "just for looks" on a musical instrument until you try it and hear for yourself. It is easy to assume that a "prestigious" material like gold or silver, or an "exotic" material like titanium or chromium are just being used as a "selling gimmick". Probably true sometimes, but not as likely when it comes to things like strings. Whether you will like it better, though, you only find out for sure by trying. So far as how long any given string material lasts, I've used some silver wrapped violin strings and some aluminum wrapped, and while I expected the aluminum to wear out much faster, they don't seem to. So I'm note sure if conclusion can be drawn there, with any certainty. At least not within my limited experience with violin strings. Since two strings pop'd overnight on my student violin, I need some new strings. Not sure which one I will be getting yet. Tried Corelli Crystal, didn't like them at all. The violin sounded dead and really dry. Zyex has also been on, liked them a lot, except for the D and E string. (Aluminium D.) Pro arte was on for a while, did like them more on the other violin instead. I don't want to spend alot of money on strings for the student violin. I don't play it as much as I used to, since I got two other violins that I really like and its just 24 hours a day. 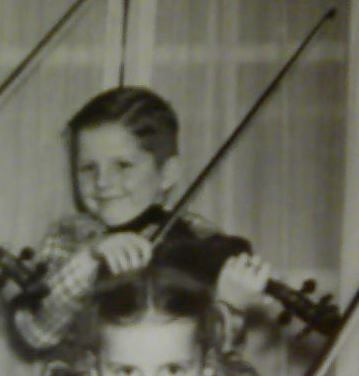 But I still want to be able to pick up the violin now and then, and get a nice sound out of it.